Image: MediaPunch, Phil Mccarten/Invision/AP, Paul Zimmerman/Shutterstock. There are some major changes happening over at America’s Got Talent that have us pressing the Golden Buzzer in excitement. 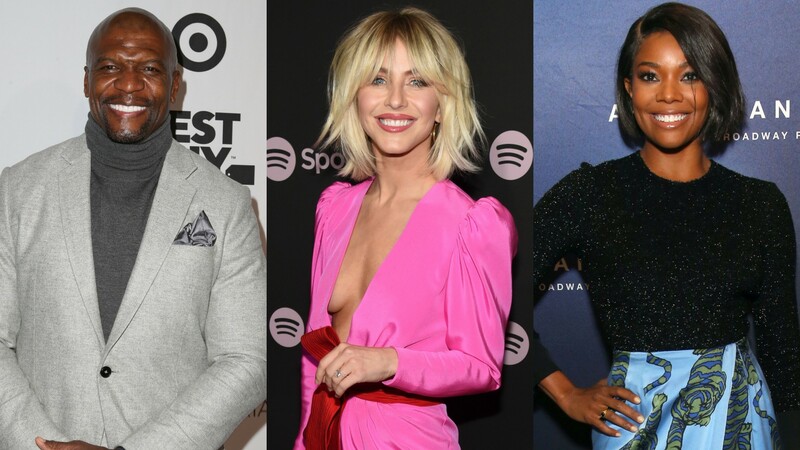 It looks likes AGT will add Terry Crews, Julianne Hough and Gabrielle Union to its roster for season 14, making for the first big changes to the show’s lineup in some time. As reported by Variety, AGT adds Crews as host while Hough and Union take over as judges. This means longtime fans of the show will have to say goodbye to current AGT host Tyra Banks as well as judges Mel B and Heidi Klum. Surprisingly, Crews, Hough or Union haven’t posted about their new AGT gig yet, although chances are good that these three AGT newbies will share something as production on season 14 gets closer to beginning. Crews has already cut his teeth on reality TV since he currently serves as the host of America’s Got Talent: Champions, and we’re more than OK with him coming to AGT to keep the party going. Union is poised to begin a major chapter in her career with her upcoming Bad Boys spinoff show costarring Jessica Alba, L.A.’s Finest. With this new judging gig, it looks like she’s ready to expand to other exciting endeavors as 2019 continues. Meanwhile, it’s been a minute since we’ve seen Hough on TV but we know she’s a seasoned judge since she’s appeared on Dancing with the Stars. It’ll be good to see her back in the judges seat. All in all, we approve! No premiere date has been set yet for AGT season 14 but it will likely return sometime in 2019.